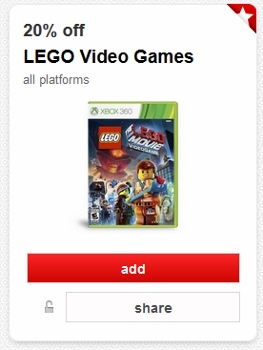 Target has a new Cartwheel offer for 20% off LEGO Video games. Offer valid through 6/28. This will come in handy with the buy 2 get 1 FREE on all Wii U video games at Target this week.